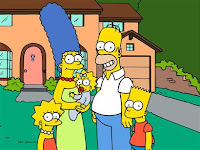 The new indian tv show based in the world famous family, The Singhsons - The indian version of the Simpsons. The classic mafia movie this time have a new scenario: Moes Bar in Springfield with all the cast. Homer decides to go and teach some course on how to have good relations while Moe is teaching self defense with funky style.